Asked about the highlight of my senior year, I will lapse into an indecisive silence. Though I disagree with the idea that second semester seniors have eons of free time at their disposal, I can attest that the latter portion of my year was by far the most interesting, most fulfilling time that I’ve lived through. Rather than one experience standing out, three moments come to mind. Les Misérables: An avid musical theater fan, I first became immersed in the world of Jean Valjean two years ago. In March, I was able to see the U.S. tour of Les Mis at Cleveland’s Playhouse Square. The performance was incredible, and as an audience member, the outside world seemed to fade away as the actors brought 19th century France to life. Watching the live play offered a linguistically-intangible perspective of the characters that watching the movie couldn’t–the story has meant something different to me every time I’ve watched it unfold over the past few years. At the risk of sounding like a theater critic, seeing Les Misérables in person was a highly unique artistic experience. White House Science Fair: In three words: it was surreal. 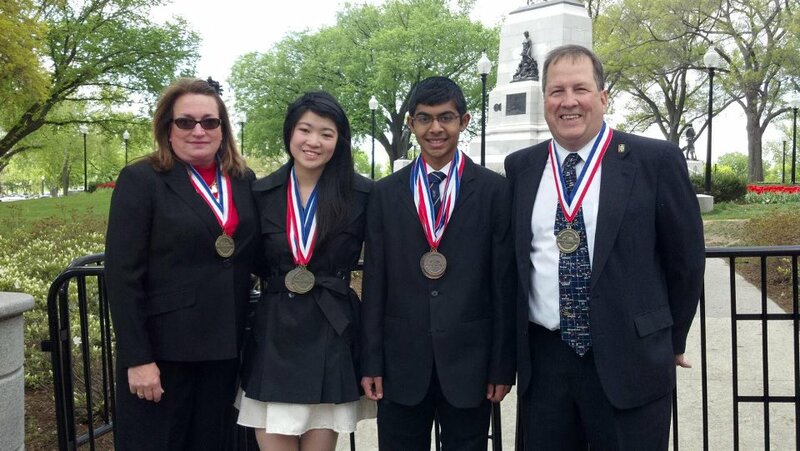 Friday afternoon, I received the invitation to go to the White House as a representative of my Science Olympiad team. The event was held on Monday. I found myself in awe at every moment–not only is the White House beautiful on the inside, I had the chance to meet Kal Penn and Bill Nye! It was gratifyingly humbling to be able to peruse the projects and meet others invited–among them, a home energy system powered by wind, a bio-fuel lab underneath someone’s bed, and Chemistry Olympiad winners. Watching President Obama deliver a speech about the future of science in America felt very much like an out-of-body experience. I feel immensely blessed to have represented Solon Science Olympiad at this event this past spring, and I left feeling incredibly inspired. Science Olympiad Nationals: After an eight-year career in Science Olympiad, Science Olympiad Nationals marked the end of a very long journey for me. This time, the National competition was especially special as it was held at Wright State University in my home state of Ohio. Senior year in Science Olympiad was emotionally and physically exhausting, and it was so nice to be able to experience one last hurrah with my teammates, all of whom I’ve grown up with, and have come to regard as family. I had much more fun on this trip than any past competition that I’ve gone to. Stephanie is an incoming M&T freshman in the Class of 2017 from Solon, Ohio. In high school she was heavily involved in Science Olympiad, Mock Trial, and piano instruction at the Cleveland Institute of Music. We look forward to seeing her on campus very soon!